Acrostic poems are a wonderful introduction to reading and writing poetry. 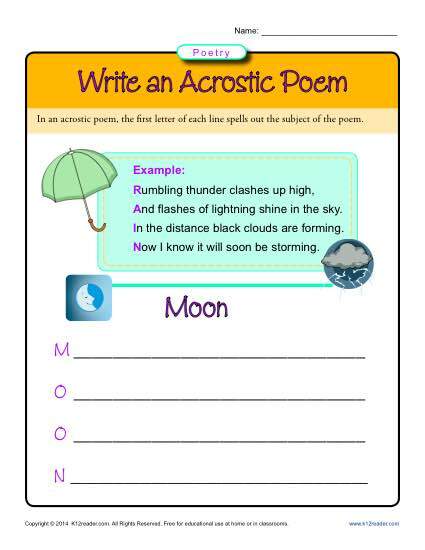 Students build the poem around the letters of a word, which in this worksheet is “moon.” It’s great practice for the Common Core Standards for Reading: Literature and Writing for grades 1st through 3rd. Others may use it as appropriate.